The Roorkee-born cricketer also became the first Indian wicket-keeper to score a Test century in England and equalled the record for the most catches taken in a Test, with 11 in Adelaide in December. ICC Awards 2018: Despite Virat Kohli’s undisputed heroics in the recently-conducted ICC awards 2018, young and immensely talented wicketkeeper-batsman Rishabh Pant somehow managed to carve a nice for himself as he bagged ‘ICC’s Emerging Player of the Year’ on Tuesday. With Indian captain grabbing all the limelight in ICC annual awards, Pant’s meteoric rise and achievements are quite hard to ignore. awards. The 21-year-old Pant was picked by the ICC’s voting academy for a stellar show in his breakthrough Test year in 2018. 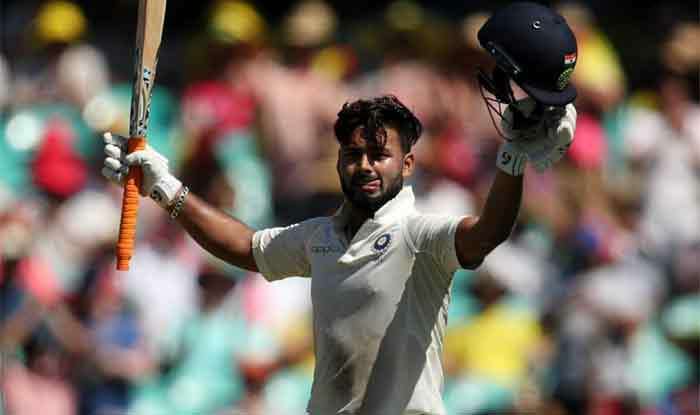 The year 2018 concluded on the brightest note possible for Pant as he broke several records with an unbeaten 159 against Australia in the last Test of the series in Sydney. Despite the match ending in a draw due to rain, Pant registered his name in the history books in what turned out to be the best performance by an Asian side Down Under. “Congratulations to @RishabPant777, the ICC Men’s Emerging Cricketer of the Year 2018! The Roorkee-born cricketer also became the first Indian wicket-keeper to score a Test century in England, and equalled the record for the most catches taken in a Test, with 11 in Adelaide in December. The ICC Awards 2018 were completely dominated by none other than Indian skipper Kohli, who became the first player in history to win the Sir Garfield Sobers Trophy for ICC Cricketer of the Year, the ICC Men’s Test Player of the Year and the ICC ODI Player of the Year awards following an extraordinary 2018. Not only is Kohli the first player to win these three major ICC awards together but he has also been named the captain of the ICC Test and ODI teams of the year for a fabulous run in international cricket.